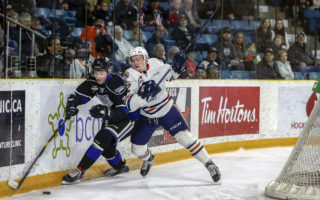 It required an extra game and some added dramatics, but the Victoria Royals finally have an opponent for the first round of the 2019 WHL Playoffs as they now prepare for the Kamloops Blazers. The Blazers path to a first-round matchup against the Royals was not an easy one. 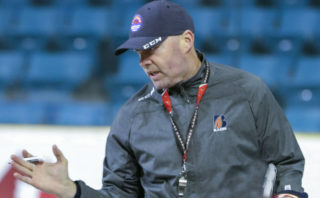 Trailing the Kelowna Rockets by a seven-point margin late in the regular season, Kamloops rolled to a 5-0-1-0 record to close the campaign, catching the Rockets and setting up a deciding tiebreaker game on Tuesday night. 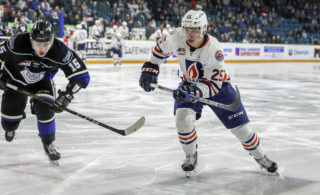 After a tense 40 minutes of play, the Blazers erupted with a four-goal third period to complete a miraculous run and officially clinch the final spot in the 2019 WHL Playoffs. This is the first time since 2013 that the Royals and Blazers will meet in the WHL Playoffs. Back in the 2013 WHL Playoffs, the Blazers scored a 4-2 victory in the first round and eventually advanced to the WHL’s Western Conference Championship before falling to the Portland Winterhawks in five games. All things said and done, the Royals finished the regular season second in the WHL’s B.C. Division, while the Blazers’ dramatic run earned them third place in the B.C. Division. Over the course of the regular season, the Royals rolled to a 5-3-0-1 record in the season series between the two Clubs. 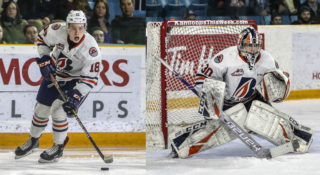 That being said, the Blazers are winners of three straight games to conclude the season series – 3-2 in the shootout on January 26 at Kamloops, 6-1 on February 13 at Kamloops, and finally 8-0 on March 13 at Kamloops. The 8-0 game on March 13 should be communicated with an asterisk, as the Royals skated shorthanded due to a litany of injuries. On the Blazers side, captain Jermaine Loewen (Dallas Stars) registered 11 points (7G-4A), while Connor Zary (5G-3A) and Orrin Centazzo (8A) both chipped in with eight points. Four of the nine games throughout the season series were determined by one single goal, so fans can expect a tightly-contested seven-game affair when Friday rolls around. 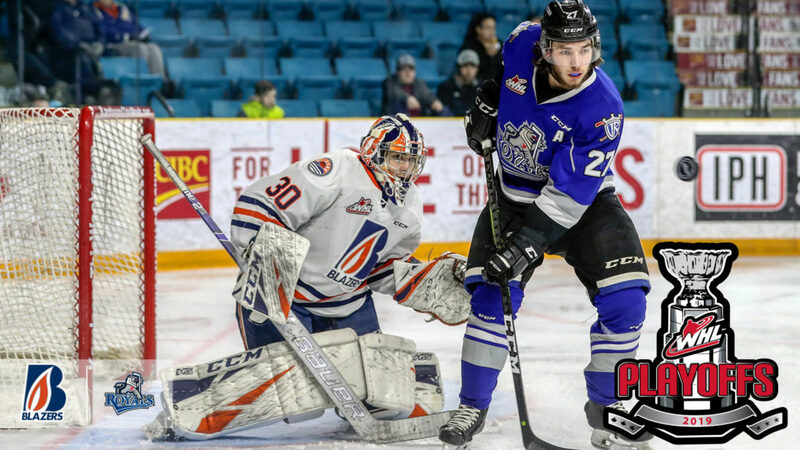 Royals overage goaltender Griffen Outhouse was rolled together a perfect 5-0-0-0 record against the Blazers in 2018-19, complete with a 2.10 goals-against average and a .936 save percentage. At the other end, it was Blazers rookie Dylan Garand notching the only shutout of the season series while going 2-1-0-0 with a 1.34 GAA and .938 SV%. Overage veteran Dylan Ferguson (Vegas Golden Knights) went 2-4-0-0 with a 3.35 GAA and .901 SV%. 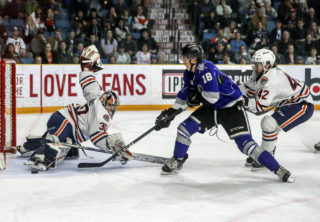 Game 1 of the first-round series between the Royals and Blazers is slated for Friday, March 22 at the Save-On-Foods Memorial Arena in Victoria. The series will shift back to the B.C. Interior for Game 3 at the Sandman Centre in Kamloops on Tuesday, March 26.